Though it’s not a subject that we human beings spend much time contemplating, one can tell a great deal about a dog’s physical well-being from the state of its faeces – provided that one takes a sufficient interest in it in the first place. If it’s too dry, then the result will be painful constipation. If it’s consistently runny, your dog will have difficulty holding it back – and make even relieve itself in inappropriate places – like the middle of your priceless rug. 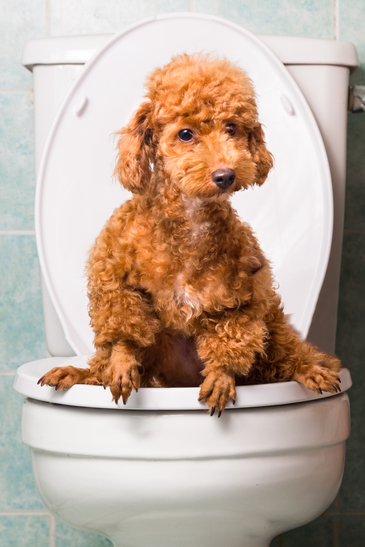 In such instances, it’s difficult to avoid taking an interest in your dog’s bowels. And so it’s a problem worth thinking about before that happens, so that we can prepare ourselves for the eventuality. That said, if you’re reading this article, then it’s likely too late for preventative measures. Fortunately, in most cases, diarrhoea is not a serious problem, and will clear itself up within a few days. Instances where the problem persists for longer, however, can evidence a whole range of different problems. In this article, we’ll take a closer look at this most revolting of bodily functions, at what problems it might evidence, and what solutions we can offer to fix those problems. What should I do if my dog has diarrhoea? The first thing one should establish after the diarrhoea appears is whether the dog is suffering any other symptoms. If accompanied by vomiting and lethargy, the condition might evidence a digestive problem, or even poisoning from antifreeze or a similar substance. In such instances, it’s important to get your pet to a vet. Similarly, if the symptoms persist for more than twenty-four hours, then they should be considered chronic, and worthy of medical attention. If blood is in the faeces, then this is especially so; as disgusting as the task might be, it’s important to inspect the faeces, as its contents can say a great deal about the condition of your dog’s bowels. 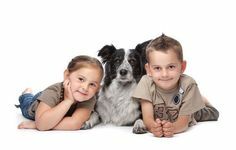 A likelier scenario is that your dog is only suffering from the diarrhoea itself. Here, your first priority should be to remove food sources for around twelve hours. This will give the dog’s digestive system a break, and will prevent the diarrhoea from manifesting. After all, if your dog hasn’t eaten anything, then it will be unable to go to the toilet. Of course, it’s important that your dog still be allowed to drink during this time, in order to avoid dehydration – but be sure that they do so only in small doses. Drinking large quantities of water during this time can result in vomiting. If your dog has been vomiting, then you might want to delay food for a further few hours. When you reintroduce food to your dog, it’s important to do so gradually. 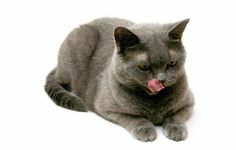 Start with bland foods that will be easy on the animal’s gut. Cooked chicken and white fish are ideal candidates. After a while you can gradually wean your dog back onto their original diet. That said, it’s worth pondering whether you’d want to do such a thing – since it might have been that original diet that caused the symptoms to manifest in the first place. When we’re considering the timescale here, it’s important to constantly review your dog’s condition. If your dog should look to be on the mend after just six hours, then it might be time to try food; if they look ill after twelve, then it might be wise to delay further. Many dog-owners hesitate before summoning a professional. After all, doing so is costly, and might well be a waste of time. On the other hand, it might be the step that saves your dog from hours of misery. As we’ve noted, if your dog’s condition hasn’t improved after a day, then a vet should be called upon. Of course, it’s far easier to prevent your dog from developing this condition than it is to rid them of it after the fact. 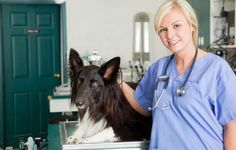 For this reason, it’s worth reviewing the dog’s lifestyle after a bout of diarrhoea, and determining exactly what caused it. Any measure that reduces the likelihood of diarrhoea will also improve the health of the dog generally, reduce their discomfort and improve their quality of life. Repeated instances of diarrhoea might be taken as a warning sign that something is amiss – but a one-off might be just that. The one thing that should not be done following a bout of diarrhoea is a sudden change in the dog’s diet – since this is a factor that can lead to the condition in the first place. Instead, one should gradually migrate a dog from one diet to another, in order to give the dog’s digestive system time to adjust. Generally speaking, rich foods are likelier to cause digestive problems. The culprit here is often food that’s been designed for human consumption. If you’re fond of offering your dog table scraps, then this might be a potential cause of a stomach upset. Likewise if you often leave leftover food out and find that the dog has polished it off by the morning. Of course, if your dog is accustomed to the finer things in life, then it can be difficult to deny them – and doing so will require some self-restraint on the part of the owner. Greeting begging behaviour that used to be fruitful with a harsh ‘no’ can be difficult for many dogs to accept. Similar discipline might be called for when you’re out and about. The scraps that your dog might scavenge from the undergrowth might cause it a stomach upset – or worse. The same can be said of any small objects you might give your dog to play with, like bones. Though bones are undoubtedly fun to chew on, they are also potential causes of digestive problems – and so alternative toys should be sought if diarrhoea should reoccur. Finally, one should ensure that a dog’s worming medication is up to date. Intestinal worms are especially nasty parasites, and can cause extreme discomfort for a dog if allowed to spread unchecked.